Living in the arctic, the Inuit people do not have opportunity or even places to farm grains, fruit or vegetables. They are traditional hunter gathers subsiding on fish, seals or yearly whale hunts. Amazingly, they have little cardio-vascular disease or heart attacks despite having basically a fish and fatty meat diet. This caught the attention of Danish researchers who, in the 1970s, proposed that the fish sourced omega-3 fatty acids were cardio protective, and prevented heart disease which sparked the fish oil supplement business, so everyone could benefit from the “Eskimo Diet.” Today, more then 10% of American take fish oil pills. 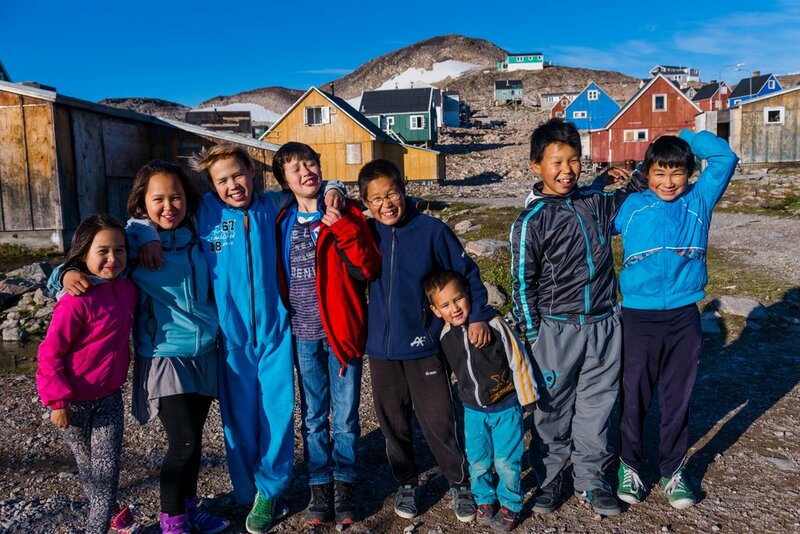 Two Danish researchers (clinical chemists) studied the diet within a Inuit community of 1350 people surrounding the town of Uummannaq on the northwest coast of Greenland. They took blood from 130 people and compared it to Danes and found higher levels of omega-3 fatty acids (which come from cold-water dwelling fish), yet they also had lower levels of cholesterol and triglycerides. They studied hospital records and death certificates and found only a few diagnosed deaths due to heart disease. The NYT (from where the picture below came) in 2015 described findings in the journal Science, found evidence that the benefit of omega-3 acids may be due to genes that help make enzymes called fatty acid desatruases (FADS) which likely allow Inuits to to better process the acids. About a quarter of Chinese people have this gene variant as compared to 2% of Europeans. The genes differ depending on where you inherit them from, and Inuits who with more than one copy of the gene processes fatty acids to lower levels in their blood than others. In fact, they differ within the Inuit population, and Inuits who inherited two copies of the gene tended to be, on average, 10 pounds lighter and an inch shorter than those with no copy. So, even if fish oil helps the Inuit without the genes they have developed over the last 20,000 years there is little reason to expect people of European heritage to benefit from it–although, the odds seem like 1-in-4 that ethnic Chinese people may. Moreover, later studies found fault with the medical records the Danish researchers used to determine there was no heart disease among the Inuit. Greenland’s chief medical officer acknowledge that in the 1960s and 70s there were no medical personnel available to 30% of the people studied, and death certificates were filled out by non-doctors and other studies have found Inuits have similar levels of cardiovascular disease to other folks. Follow-up studies showed possible cardio benefits from fish oil, but studies using a control group (who received a placebo) have not. The big study going on now is run by the Brigham and Women’s Hospital: the Vitamin D and Omega-E Trials (VITAL) with 25,000 people looking at omega-3s and vitamin D in health adults.